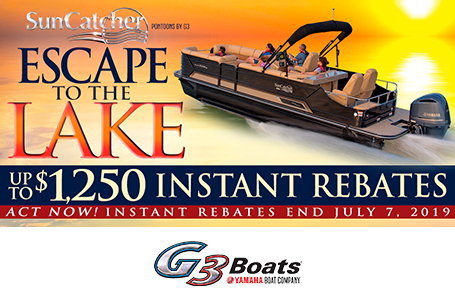 The SunCatcher X Series™ can give you the freedom to loosen the ties to your land-bound concerns. 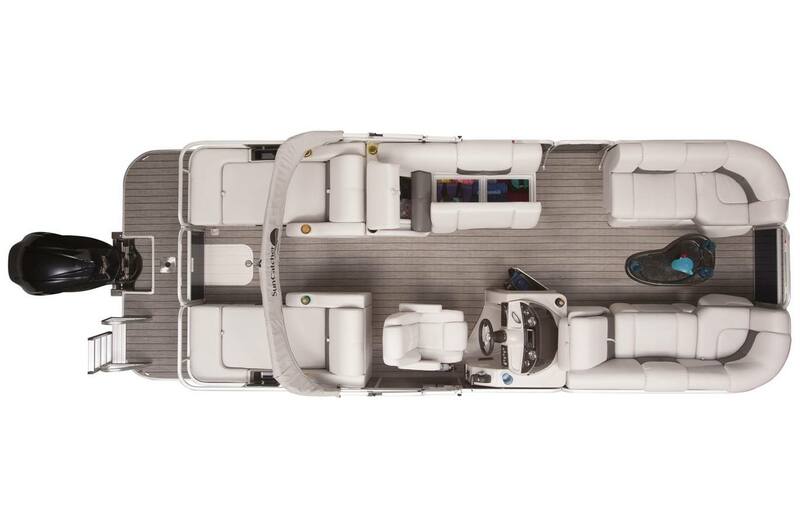 Four inclined loungers on the X324 SS provide plenty of comfortable full-length seating. 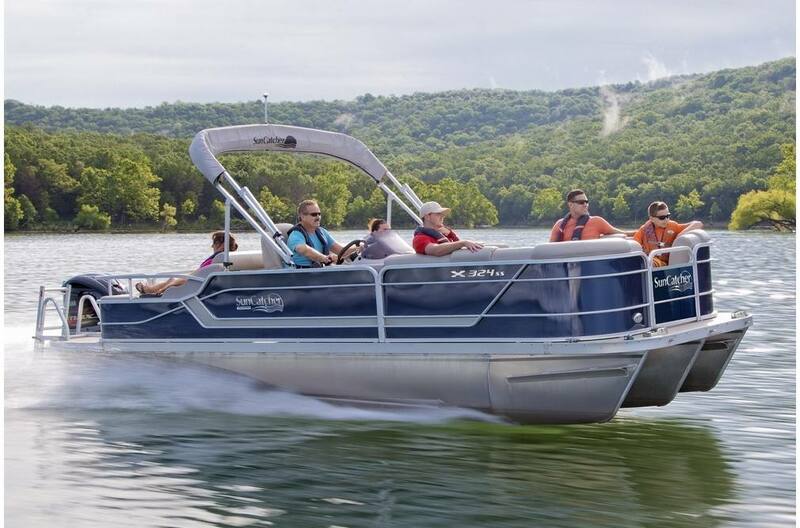 Take an evening cruise aboard a luxurious X324 SS and you'll understand ... life is better when you're on the water. 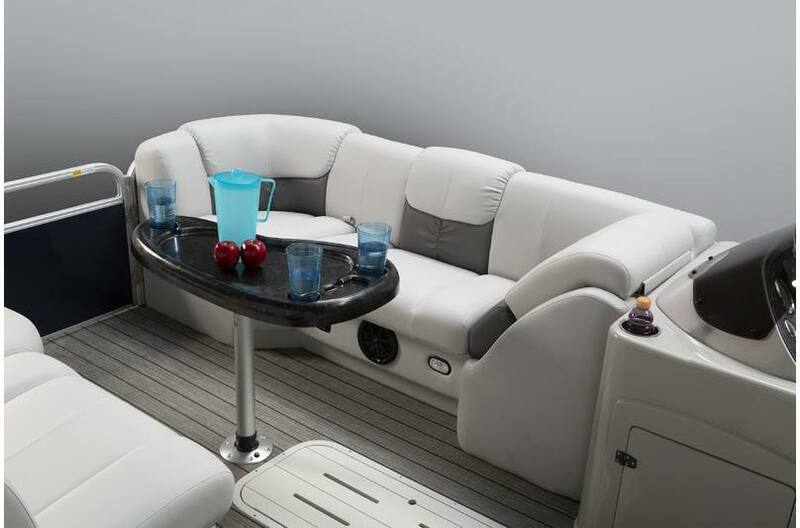 Classy entertaining is easy in the bow, with the optional kidney-shaped black pearl table, set between plush couches. 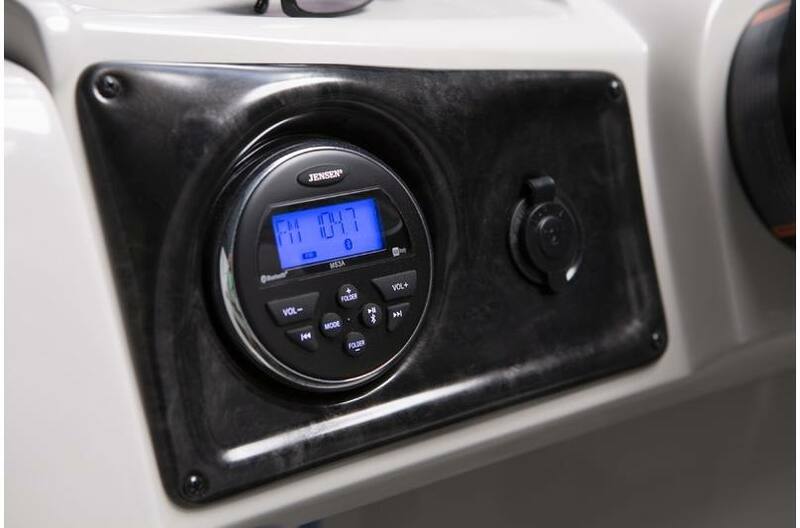 Jenson® marine stereo has Bluetooth® capability. 12-volt receptacle is handy for many uses. 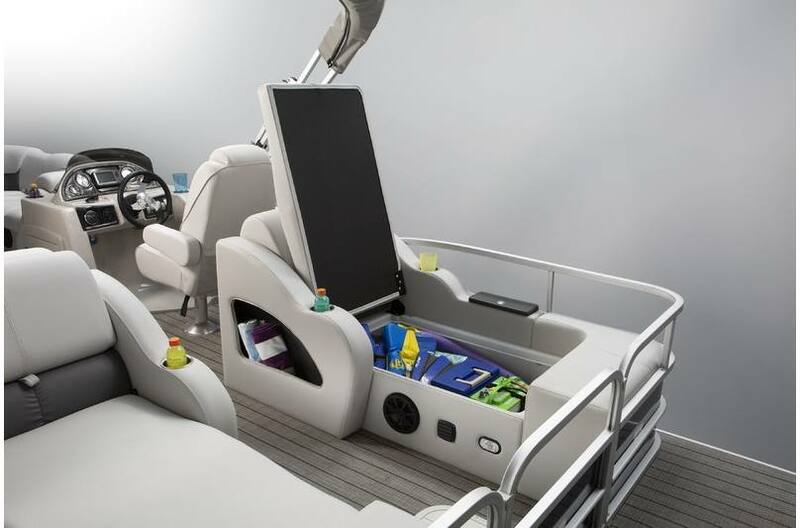 Stern lounges also provide extra-large areas for storage of bulky items. Dry Hull Weight: 2420 lb.